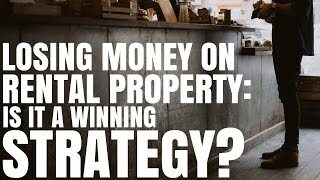 Losing Money On Rental Property: Is It A Winning Strategy? Losing Money On Rental Property: Is It A Winning Strategy? 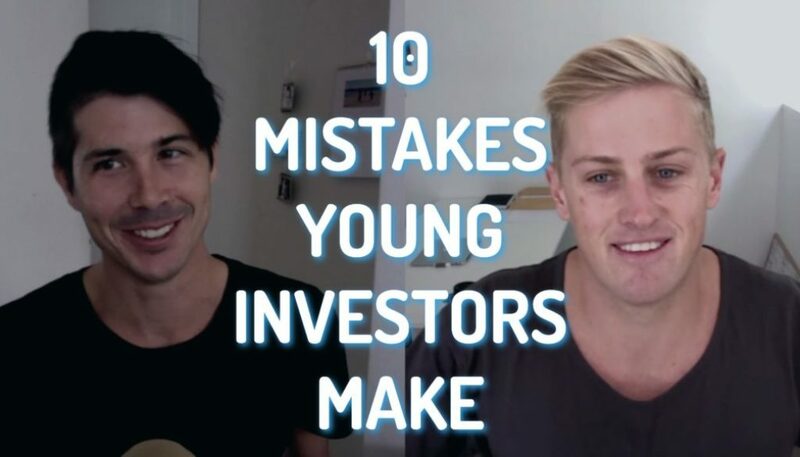 Losing money on rental property is a common investment strategy in Australia. It’s called negative gearing. Today I want to look at whether or not losing money is a winning strategy. 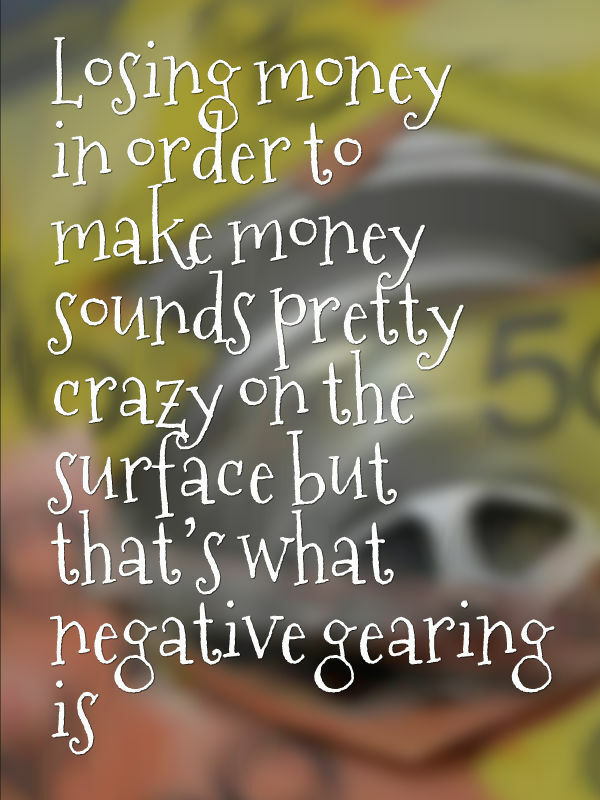 Losing money in order to make money sounds pretty crazy on the surface but that’s what negative gearing is. 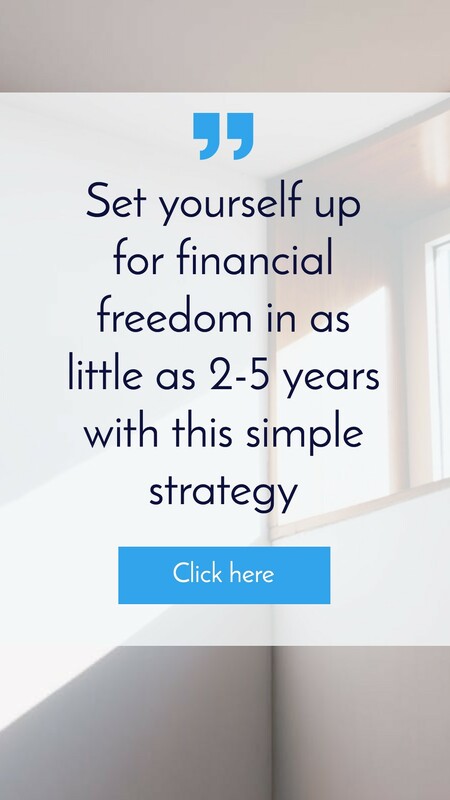 You lose money each and every week or every month or every year because your expenses are greater than the income that’s coming in and you hope that your property will go up in value more than the amount of money that you’re losing each year. Negative gearing can be a risky strategy in the short term because it’s very hard to predict exactly when a market is going to go up. But a lot of investors are extremely confident in negative gearing for the long term. Because property has historically doubled every 7-10 years, by investing for the long term you’re taking advantage of that cumulative growth effect, which hopefully should outweigh any loses that you’ve incurred. Also overtime due to inflation and due to supply and demand issues for housing, rental income has also tended to increase. This means over time a negatively geared property can become positively geared. So losing money on your rental property can actually be a winning strategy if you chose the market correctly or if you hold on to the property long enough to then see the accumulative growth returns or to see the increase in rental income returns. 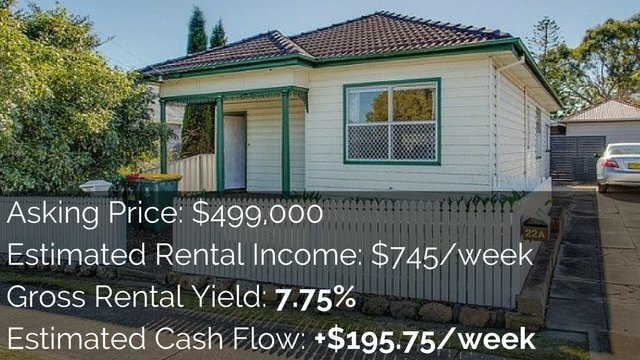 Yes, positive cash flow properties are harder to find in Australia and most properties in Australia are negatively geared but you can find properties that are both positively geared and have the potential for great growth. 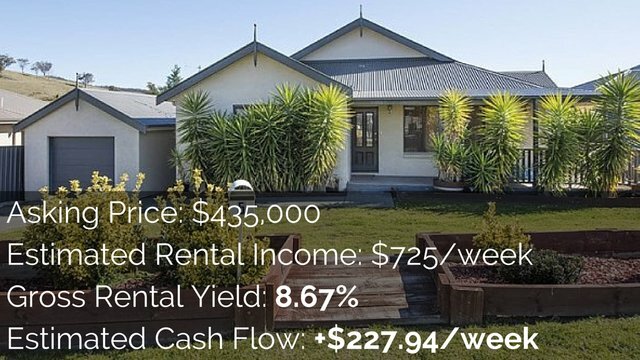 If you’re a very savvy investor then you can find positive geared properties that you can add value and add instant equity to. On the surface, positive cash flow properties seem extremely difficult to find, but I can actually tell you that they’re not. It took me 3 years to find my first positive cash flow property but now I find them every single week. I list 5-10 new properties inside On Property Plus every week and the more I looked, the easier I have found that it is to find them. What Can You Do To Turn A Loser Into A Winner? Lastly, I want to talk about – If you are losing money on your investment property, what can you do to make that a winning property. One of the quickest ways to improve your cash flow is to move from principal and interest loans to interest only loans. Now I can’t say what the best financial decision is for you, you need to speak to a professional about that. But I can say that for interest only loans (because you’re not paying off the principal as well) it does ease your cash flow in the short term when money tends to be the tightest. Then over time as rental income goes up there’s always the option to convert to principal and interest at a later date. Moving from principal and interest to interest only can ease your cash flow and can actually flip it from what seems to be negatively geared, to now positively geared property. You could also look to increase your rental yield through renovation to converting into a positive cash flow property or you can increase the value of your property through renovation or development if the value of the property hasn’t gone up because the market hasn’t gone up as you would have liked. 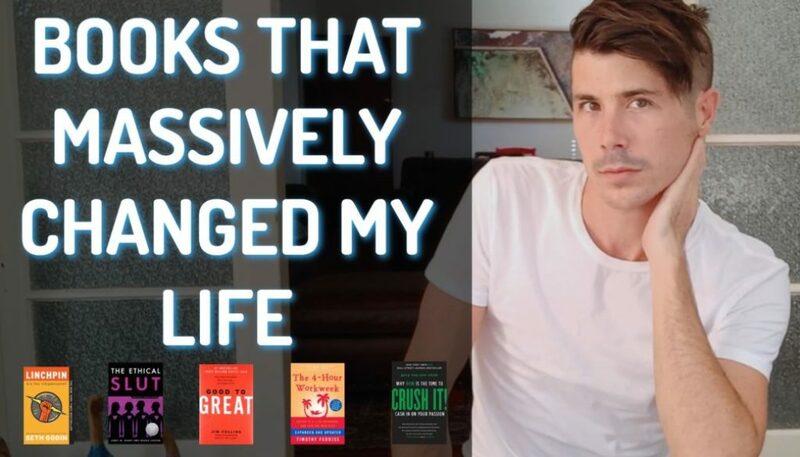 You can also look at things like developments or dual occupancies or things like granny flats, which are now fairly easy to get approved, to give you increased value but also to give you that increased rental income to come in. 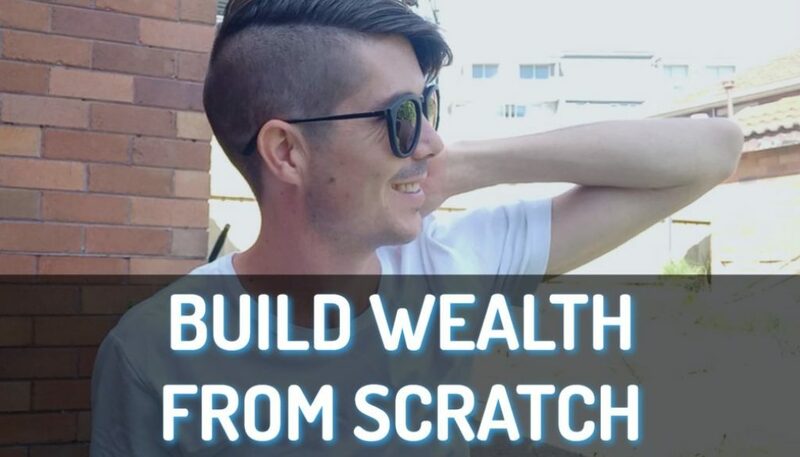 So in conclusion, losing money on an investment property can be a winning strategy but investing in a property that generates you income can be a winning strategy as well. It’s up to you what you want to invest in and how you want to invest but I do implore you to consider investing in positive cash flow property.